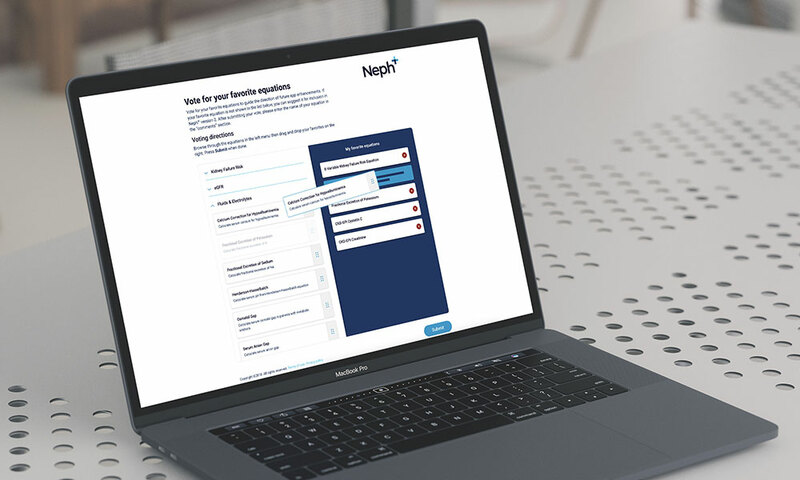 Tricida -a pharmaceutical company focused on non-absorbed therapies for patients with chronic kidney disease- needed to develop a website for the ASN Kidney Week to promote its new Neph+ mobile app. 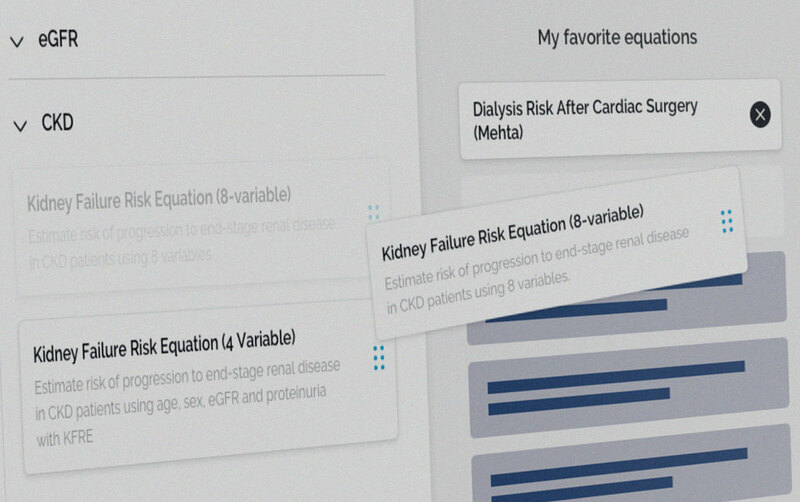 The app was created by and for nephrologists, and includes a patient education tool based on the 8-variable kidney failure risk equation that provides a quantitative understanding of the eight factors, including serum bicarbonate. 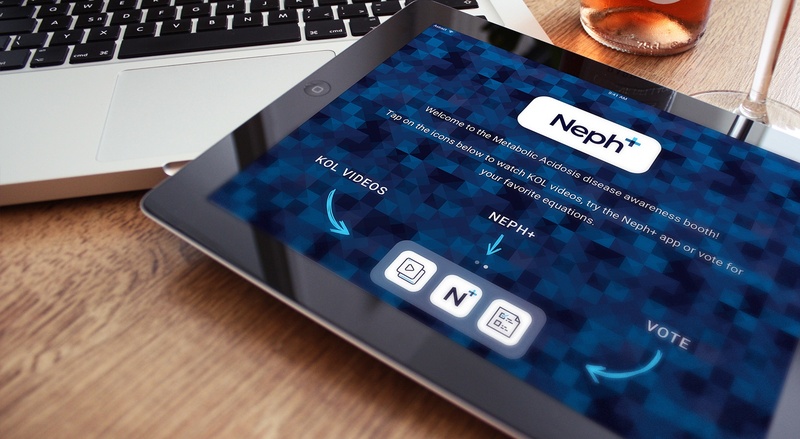 The website developed for the ASN Kidney Week allowed conference visitors (nephrologists) to vote for their favorite equations on iPads. 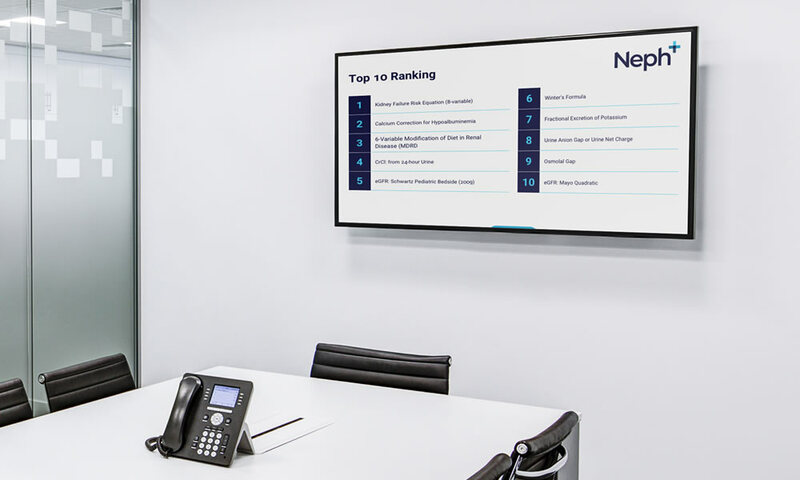 Voting results were saved in a data base and displayed in a large screen in real time. 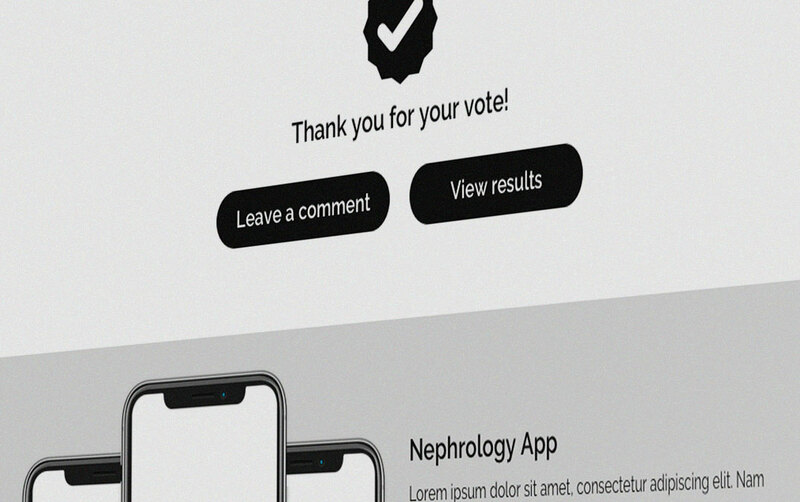 A landing page was created to promote the app and invite visitors to download the app from the Apple App Store and Google Play Store. A metabolic acidosis and chronic kidney disease education page was also designed.